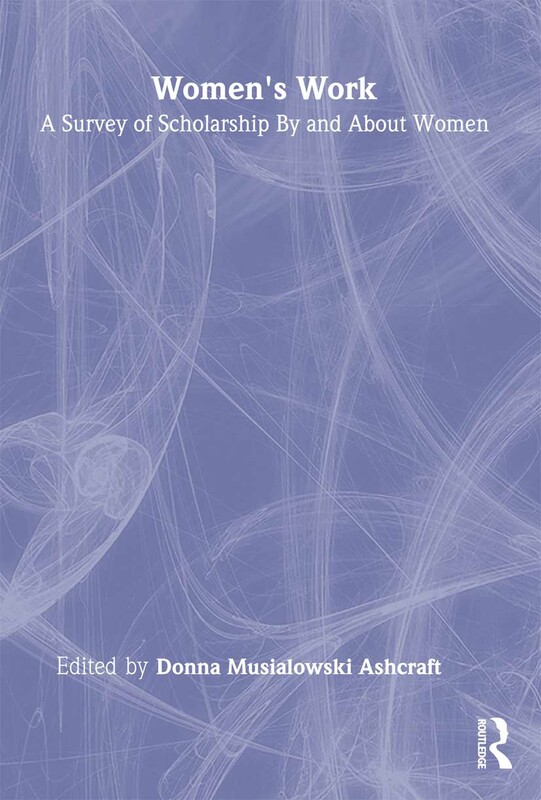 While most women’s studies texts function “topically” as “readings” for courses and general use, Women’s Work: A Survey of Scholarship By and About Women takes a broad spectrum of women’s disciplines--psychological, artistic, religious, and philosophical--and gives you a diverse, interdisciplinary view of this important and ever-expanding field of study in one accessible volume. You’ll see that women are leading the world into the twenty-first century in such areas as education, business, health, and science. You’ll also find your appreciation for the current developments in women’s studies increase as you see how far-reaching and multifaceted this crucial discipline really is. This comprehensive compendium has something for everyone interested in the massive contribution that women have made--and will continue to make--in all areas of human development. All readers, especially women’s studies scholars, professors, students, and informed members of the general public looking for an excellent, up-to-date resource concerning the general direction of feminist disciplines today, will definitely want a copy of Women’s Work.